Safaricom is the only mobile operator in Kenya that publishes annual reports publicly. It is in a unique situation because it has growing revenues from a non-telco service: MPESA. 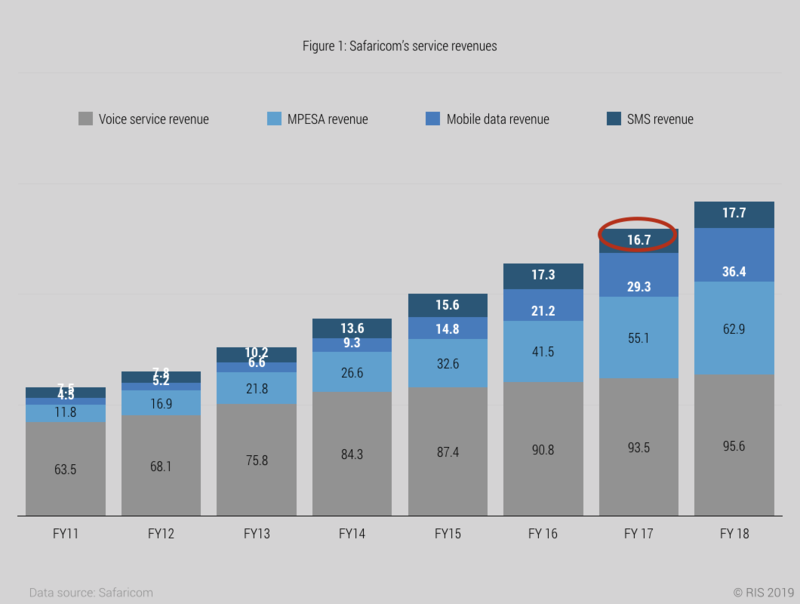 MPESA made up 27% of Safaricom’s revenue in the financial year ending in 2018, while data only accounted for 15.6%. Safaricom has also managed to grow its voice revenue over time. SMS revenue declined only once in the 2017 financial year and started to grow again in 2018. Safaricom’s increasing revenues are not driven by data, but by the competitive advantage its mobile money platform, MPESA, offers. Safaricom is the good example of an African mobile operator that embraced OTT apps and made OTT apps its source of competitive advantage. 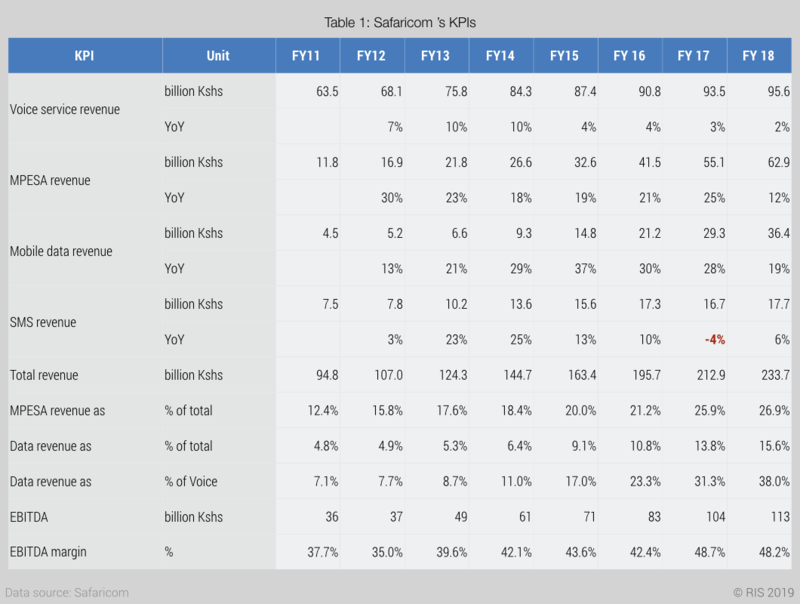 Safaricom dominates the Kenyan mobile market. Total and voice revenues have increased every year since 2011. MPESA makes up 27% of overall revenues and is an example of a successful OTT strategy.